Escape from the urban stress and get in shape on some of the wildest trails in North Texas. Nothing shakes off the winter doldrums like a long, vigorous hike on a dirt path. Or perhaps you need help getting back in shape. Maybe you’ve got dreams of hiking the mega-long Appalachian or Pacific Crest Trails.While park ambles abound in North Texas, a brisk walk on a dirt trail does more than increase your heart rate. When feet meet the uneven ground, it causes the body to engage a wide variety of muscles and flex every joint. 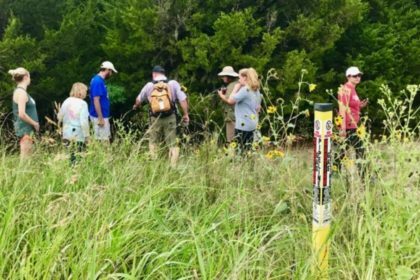 It awakens your sense of balance and stimulates your mind.Here are seven of the top places that you can visit in North Texas for dirt-trail hikes of three miles or more. Always visit their website first to acquaint yourself with admission charges and trail rules. The prime place for dirt-path hiking in Dallas County. About 9 miles of easy, moderate and strenuous trails traverse 600 acres. Cattail Pond Trail and Escarpment Trails scale some serious elevation and afford great views, as does the shorter Cedar Break Trail. Fossil Valley Trail is epic and another thigh builder. Go the distance on the Cedar Brake Trail, which has multiple elevation changes. Possumhaw and Bluebonnet are short and vigorous. Little Bluestem, Backstage Pass, Prairie and Park in the Woods trails are sweet little ambles. Very popular, so try and visit on weekdays. 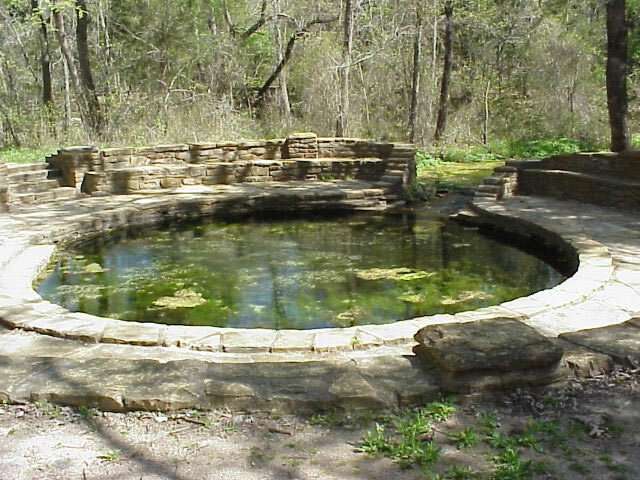 Dogwood Canyon is part of the vast greenbelt around Cedar Hill Lake State Park. 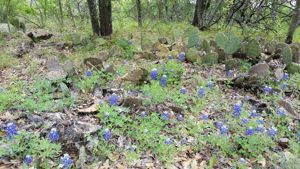 The 205 acres has around 3 miles of trails on a surprising variety of habitats — sort of like a condensed Cedar Ridge Preserve and just as popular. A great place to ease into dirt-path hiking. Located on the western shores of Lake Worth and the West Fork of the Trinity River, the park possesses an astounding variety of terrain on 3,621 acres. Over 20 miles of hiking trails, from lush creek and river bottom trails, to the warmly intimate Oak Motte Trail, to the vista rich Canyon Ridge Trail. Greer Island has lovely little interconnected loop trails. Most have relatively gentle elevation changes, except the short and intense Caprock Trail. You even get to view bison and prairie dogs. 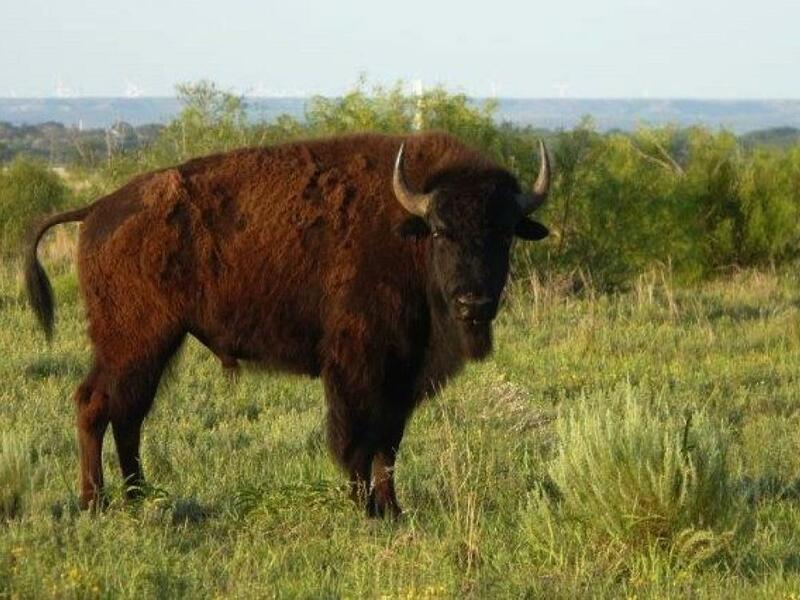 The refuge was recently named a Lone Star Legacy Park by the Texas Recreation and Parks Society. 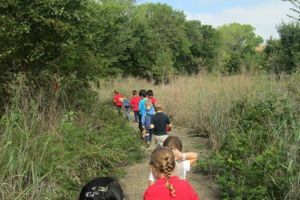 More than 7 miles of trails meander in more than 1,000 acres of prime wildlife habitat downstream of the Lewisville Lake dam. Truly a get-away-from-it-all place. Choose from trails that trace the Elm Fork of the Trinity River to revel in water birds and even beavers, especially on the Cottonwood Trail with its ample wetlands. The wooded trails — Cicada, Bittern Marsh and Blackjack — range from bottomland to Eastern Cross Timbers. Several trails pass through genuine prairie parcels. None have huge elevation changes, making this a prime spot to try out longer distance dirt-trail hiking. Heavily wooded and intricately hilly, the 120-acre former Boy Scout camp is some of the prettiest territory in Dallas County. 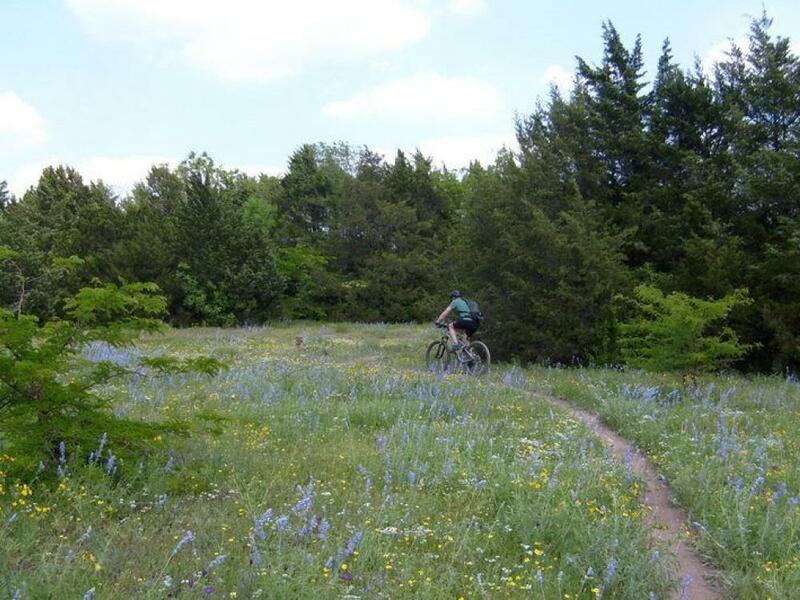 The 8 miles of trails, created and maintained by Dallas Off-Road Bicycle Association (DORBA) are quite the interconnected miasma, but done with great care for the environment and wildlife. The perimeter trail is easier on hikers and skirts the lush riparian area of Five Mile Creek where the old bois d’arc trees, pecans and oaks are quite massive. 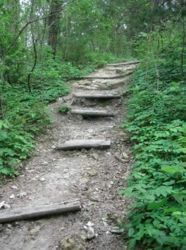 With the busy camping loops located on the other side of the creek and lake inlet, peace reigns on the rugged, intricate 4.8 mile Dogwood Canyon Primitive Hiking Trail. The high side takes you through post oak woods — there are even outhouses! — while side trails lace through thick cypress groves next to the waters. You might even see nesting bald eagles at this time of year. Maintained by Dallas Off-Road Bicycle Association (DORBA), a few pedestrian-only trails are super quiet. Connect from here to the epic 11-mile Greenbelt Hike/Bike/Equestrian Trail along the banks of the Elm Fork of the Trinity River linking Lake Ray Roberts to Lake Lewisville, for a total of 16 miles. 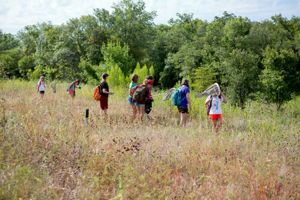 With only 4 miles of trails on 120 acres, Trinity River Audubon Center is a good entry into dirt-trail hiking. All are nicely forested and relatively level. A short wheelchair-friendly trail leads to the river. Most of the trails loop small ponds, including one with a boardwalk, so water bird watching is a delight. Sit a spell at the frequent bird blinds and see them up close. Link from here to the concrete AT&T Trail which goes for miles to a bridge over the river and beyond to the Joppa Preserve.